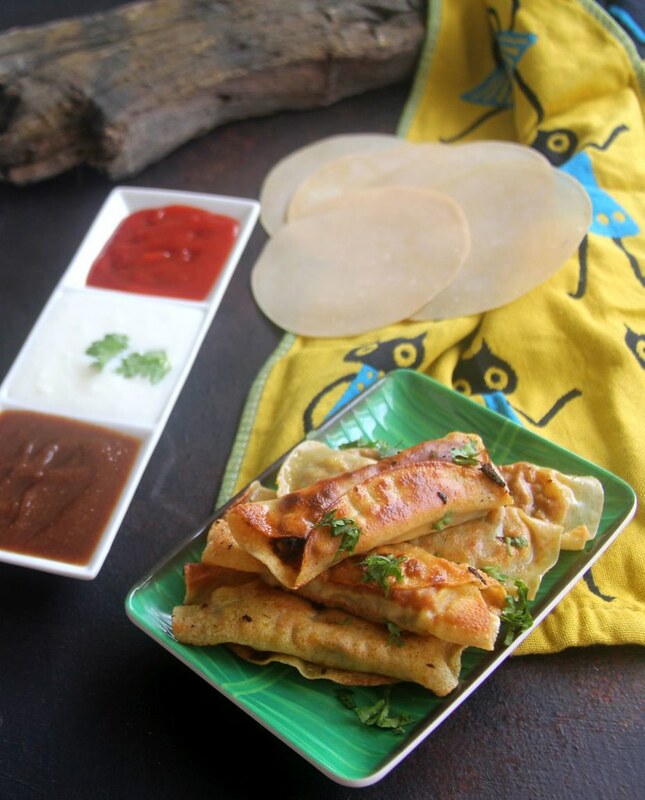 Papad roll is a simple tea time snack. 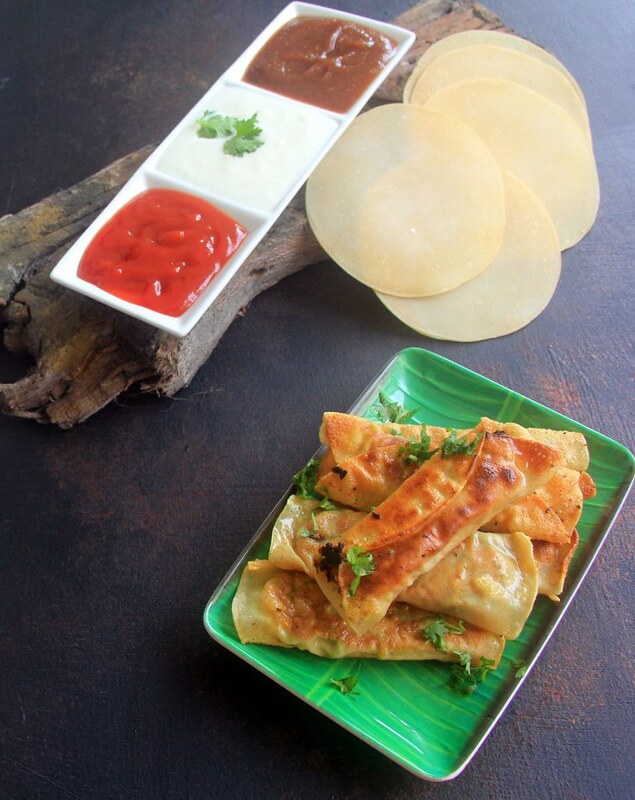 It is a perfect way to sneak in vegetables for your fussy eaters. You can basically add any vegetable. This is something you can make in 30 mins. It is a perfect snack for afterschool or work. If you use Pepper papad it would taste better. 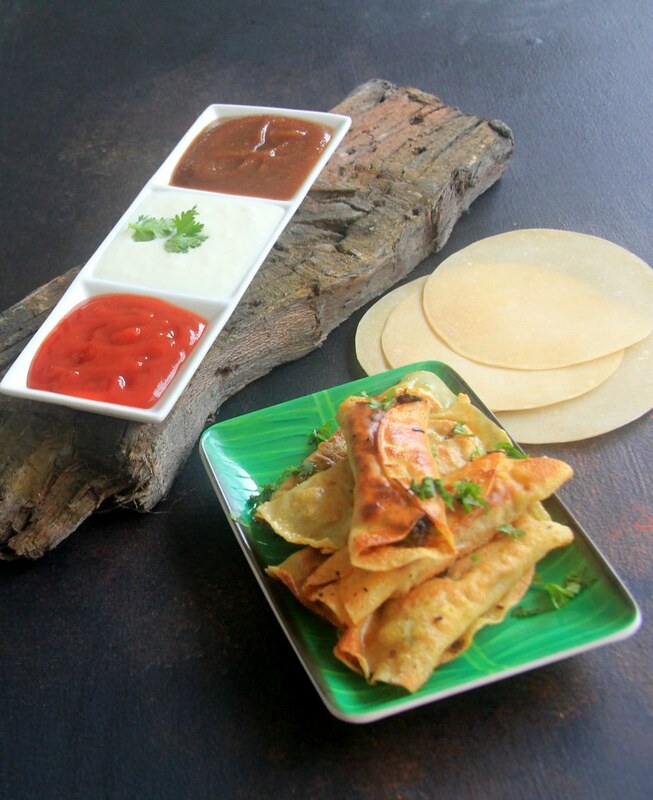 Since my kids are not a big fan of pepper papad I have used urad dal papad These days my teenage boys are more towards trying different dishes and that too something different from traditional dishes. So these days I try some fusion dishes. Heat oil. Add cumin seeds and let it crackle. Add all the vegetables except cooked potato. Add salt. Mix well. Let it cook 3-5 mins. Add spring onion, turmeric powder, red chilli powder, Kitchen or garam maslala. Mix well. Continue to cook for another 3-5 mins. Soak Papad in water till it is soft.